The sense of taste in conjunction with other senses plays a crucial role in decisions about whether a potential food will be accepted and swallowed or rejected, and it is intricately involved in ensuring that an organism consumes sufficient nutrients. 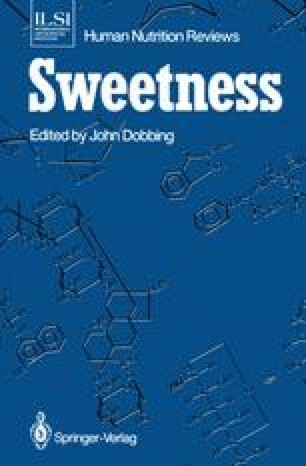 In humans the chemosensory response to some sugars includes the perception of sweetness, which is almost universally described as a pleasant sensation. Thus for humans, and many other omnivorous and herbivorous species, sweet sugars are highly acceptable, stimulating ingestion (see Foman et al. 1983) and often preparatory reflexes for digestion as well (for review see Brand et al. 1982).